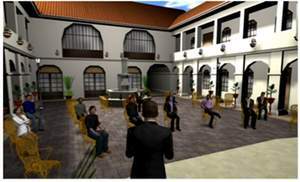 SOURCE: The Venue Network, Inc.
RESEARCH TRIANGLE PARK, NC--(Marketwire - June 14, 2010) - VenueGen, provider of a 3-D virtual meeting platform for collaborative meetings, training, and events has announced a migration solution for users of the Linden Labs Second Life virtual world platform. Linden Labs Second Life announced a reorganization and lay off stating that the company is exiting the enterprise business space to focus exclusively on its virtual world for the consumer market. VenueGen has built and deployed a platform that was designed specifically to meet the needs of business and training organizations. 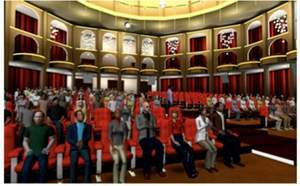 VenueGen is now offering a migration solution for Second Life customers who now find themselves left with an unsupported platform. SL leaving the enterprise space was no surprise to VenueGen's founder and CEO who stated that his company was conceived three years ago as a reaction to SL's lack of support for the specific needs of the business customer. VenueGen was architected and deployed from the beginning as a business platform. 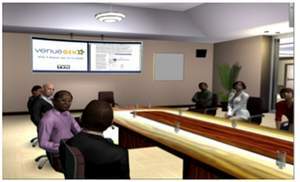 "The requirements for business collaboration, learning and events are dramatically different than those of individual consumers," stated Gardner, "We are reaching out to the Second Life community, to make sure that they have business continuity and understand that the right immersive 3D environment is still the most engaging, personal and productive modality for their distance gatherings." A lot has been learned about what it takes to meet the needs of enterprise customers (See Whitepaper: Functionality Requirements for Successful 3D Environments). 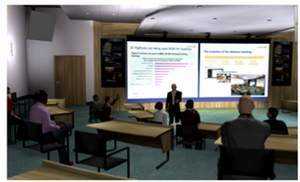 Gardner continued, "Second Life's decision to leave the space should not be seen as a failure of the 3D modality for business but rather a maturing of the industry... customers are no longer happy to just be in a cartoonish 3D environment, they want seriously focused tools that will measurably improve their productivity and learning outcomes." VenueGen is like having a superior Second Life, WebEx®, Skype® and other tools all rolled into one incredible platform for business. About this company The Venue Network, Inc.